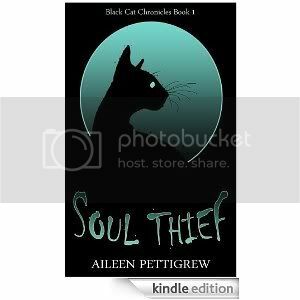 My first book, Black Cat Chronicles : Soul Thief is due early March. The second book in this series is planned for release in July/August time. Also for a hopeful 2012 release; “Gravity”, a YA fantasy. I have a great love for gardening, especially succulents, cacti, carnivorous plants (I like plants that fight back) and herbs. I adore reptiles, fishkeeping and am an avid baker. (and eater of foods. Sugar is good). I am an utter addict to art in all its forms ; paintings, crafts, pottery, jewellery and beadmaking. Best of luck building your blog. I love your banner. Nice and short ABOUT section. Good luck with the book! Hi – thank you for visiting my blog and for the “like”. 🙂 Wow – how exciting is that to be publishing two … and more books – best of luck!! Congratulations on writing your book. I’ll keep my eyes peeled for the release 11 days from now. I hope you accept the award in the spirit that I nominate you. Happy blogging and good luck with the launch of your book. Thank you very much, Pete! I shall write my lists as soon as I can! Thank you very much! – and I have added you right back. Yeah! 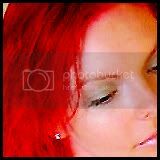 Thanks so much and I love your red hair. Thanks Aileen for the visit, I see we share passions and wish you the best with your book. And look very much forward to following your work. Hello! As well as weavinglight, I have also nominated you for the Versatile Blogger Award @ http://casualnatural.wordpress.com/2012/06/25/versatile-blogger-award/ – I apologize if it’s akin to spam, but it has the best intentions.